Molecular tests and mutational panels such as Afirma Gene Expression Classifier (GEC) and ThyroSeq, respectively, have been used to help risk stratify cytologically indeterminate thyroid nodules with the aim to reduce unnecessary surgeries. We studied the effect of molecular testing on the rate of surgical resection in these nodules. 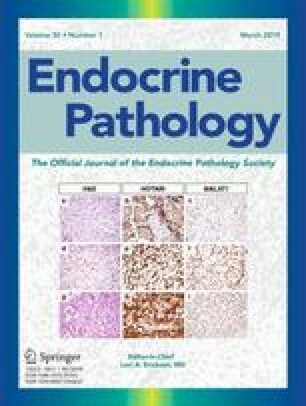 Thyroid nodules with indeterminate (Bethesda III/IV) cytology that underwent molecular testing (GEC or ThyroSeq) at our institution between June 2012 and August 2016 were retrospectively reviewed. We collected demographics, cytology diagnoses, molecular test results, and whether surgical resection was performed. Two hundred eighty-three nodules met inclusion criteria: 202 nodules tested with GEC and 81 tested with ThyroSeq. In the cohort of GEC-tested nodules, 99/202 (49%) yielded “suspicious” and 103/202 (51%) yielded “benign” results, with an overall resection rate of 70/99 (71%) in “suspicious” versus 13/103 (13%) in “benign” nodules. In the cohort of ThyroSeq-tested nodules, 13/81 (16%) of nodules yielded a “high-risk mutation” and 68/81 (84%) of nodules yielded “no high-risk mutation,” with overall resection rates of 11/13 (85%) and 30/68 (44%), respectively. Rates of resection were higher for Bethesda IV than for III nodules, regardless of molecular results. For both GEC and ThyroSeq, molecular test results seemed to correlate with the rate of resection at our institution. Rates of resection for cytologically indeterminate nodules that were “benign” or “no high-risk mutation” appeared to differ from those that were “suspicious” or “high-risk mutation” on molecular panel testing by GEC and ThyroSeq, respectively. Our findings support that molecular test results are impacting management.